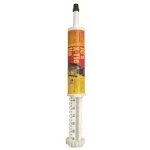 JC’s X-Tie Up™ helps promote healthy muscle function in the horse. 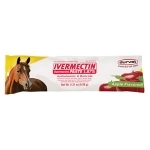 Contains a proprietary blend of vitamins that help muscles utilize energy more efficiently. Comprised of all natural ingredients and has absolutely no side effects. 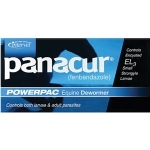 Intervet Panacur® paste is apple cinnamon flavored and is indicated for the control of large strongyles, encysted early 3rd stage, late 3rd stage and 4th stage cyathostome larvae, small strongyles, pinworms, ascarids and arterites caused by 4th stage larvae of Strongylus vulgaris in horses. 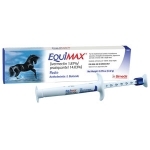 EQUIMAX® is the only combination ivermectin/praziquantel dewormer safe for ALL horses, including foals four weeks of age and older, pregnant and lactating mares, and breeding stallions. 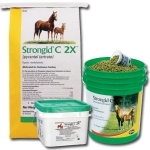 The gold standard in parasite control. 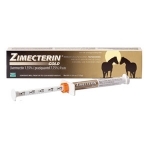 Approved to eliminate more species and stages of equine parasites.